Target does pretty well over the Black Friday period. They do the best with Apple products. This year Target sold one Apple iPad every second during Thanksgiving. That includes sales made online and in brick and mortar Target stores. In fact, Apple products did very well during Black Friday at the stores. Inside the physical stores, the Apple Watch was a strong seller. Both of these products were on Target’s Top Ten Best Selling items list for holiday sales. Apple reigns at Target, in case you were wondering. Also selling well during the last few days, are the Beats Solo 2 headphones. You might remember that last year, Apple purchased Beats Audio for $3 billion, making it the company’s largest acquisition to date. Apple will shut down streaming music provider Beats Music at the end of this month, leaving the headphones as the only thing that Apple is keeping alive. 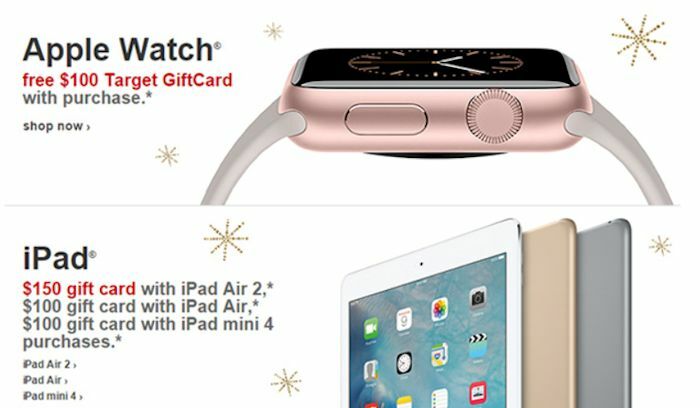 There are some valid reasons that Apple devices are selling so well for Target, like the fact that Target offered consumers a $100 gift card with the purchase of an Apple Watch for instance. The store carried Apple Watch Sport models starting from $349, and Apple Watch timepieces priced up to $649. If you bought the Apple iPad Air 2 Wi-Fi during the sale (16GB priced at $499, 64GB priced at $599 and 128GB priced at $699) you got a $150 Target gift card. If you bought the Apple iPad Air Wi-Fi ($399 for 16GB, $449 for 32GB and $599 for 64GB) you got a $100 Target gift card, as did those who bought the Apple iPad mini 4 ($499 for the 64GB Wi-Fi model, $599 for the 128GB Wi-Fi version, and $629 for the 64GB Wi-Fi+ Cellular tablet). The Beats Solo 2 headphones are usually priced at $199.99. Target had them on sale for Black Friday at $96.99. Yes, Apple’s relationship with Target is a successful one.